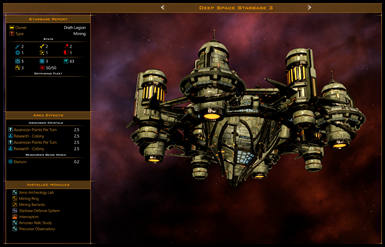 The Drath were first introduced in Galactic Civilizations II. But, the lore behind them was developed in the 1990s during the stories that would ultimately serve as the game's underpinnings. Long ago, the Drath shared their world with the Altarians. 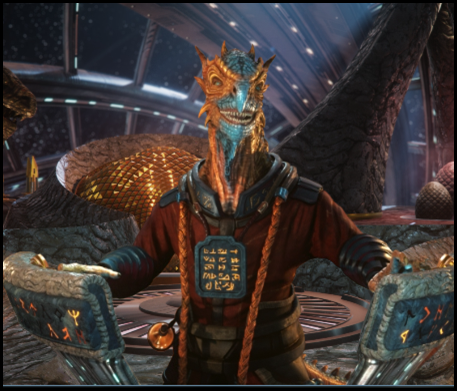 They are, in effect, sentient dragons. They are very large, over 4 meters tall. Physically the strongest of any civilization in the game, they actually have evolved into a subtle and cunning species since they were taken from Altaria by the last Mithrilar thousands of years ago, and placed on their own home world. You might expect that a species as physically powerful as the Drath would become a race of warriors, but the sheer damage that any violence between their would cause resulted in the species developing in a very different direction. Their unique trait, war profiteering, is, with some irony, the result of their own culture's attempt to discourage infighting. That is, if two Drath clans were battling it out, it was well understood that other clans would economically profit from the war, thus making obvious that those Drath who chose violence would be economically deprived. Once the Drath gained access to faster-than-light travel via Hyperdrive, they naturally took advantage of the galaxy's turmoil. The Drath, in short, eagerly trade with anyone and everyone they can, and profit greatly from the chaos of interstellar war. Thousands of years ago, the Mithrilar took the remaining Drath from Altaria and gave them a new world. That world has thrived. It's +1 better than Earth as planets go. The style of the Drath is ornate. They are an ancient civilization. While humans have only begun to realize that there are beings from higher-planes of existence, the Drath, of course, have always known of them. Both the Mithrilar and the Arnor (the Precursors) interacted with the Drath directly in ancient times. 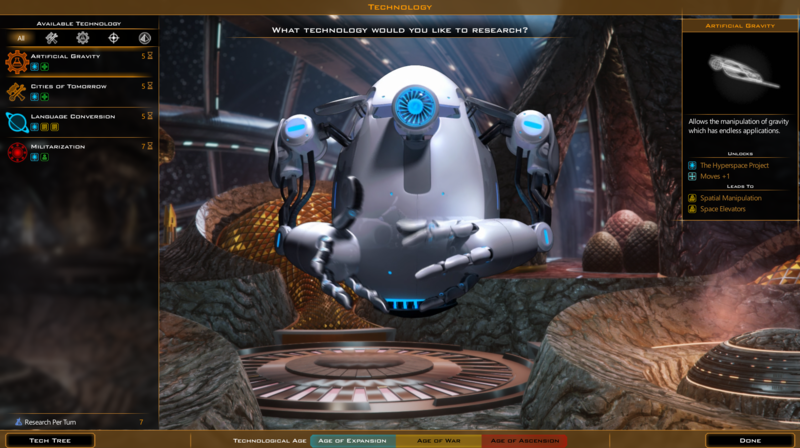 Being an ancient species, they have a handful of unique technologies that other species, like humans, do not have access to. Probably my favorite is the Precursor Relic Understanding tech. 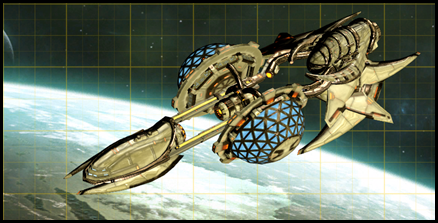 It gives an early (but significant) boost to precursor relics that are scattered across the galaxy. 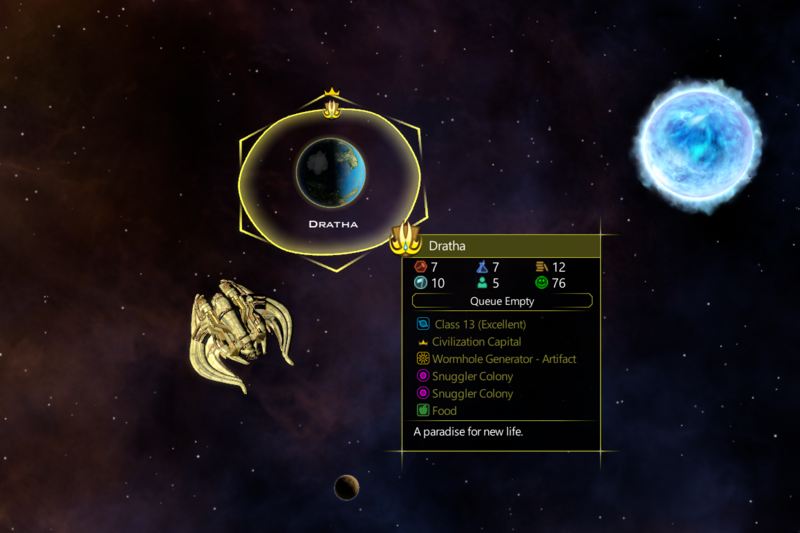 Not surprisingly, the Drath will tend to grab up Precursor relics more so than other civilizations. This was enough of an issue that we had to modify the Ascension notifications, because the Drath frequently win by Ascension victories. Beware. The play-style of the Drath focuses on capturing and utilizing the Precursor relics. The most common path to victory for them is to ascend to a higher dimension through Precursor artifacts (this was enough of an issue that we had to beef up the notification system to let you know what they were up to). The Drath can get 25% more out of Precursor artifacts than other species. This screenshot is just because..holy cow! Durantium, Promethion, and Thulium with a single starbase! Here is an example of where the Ancient ability really comes in handy. 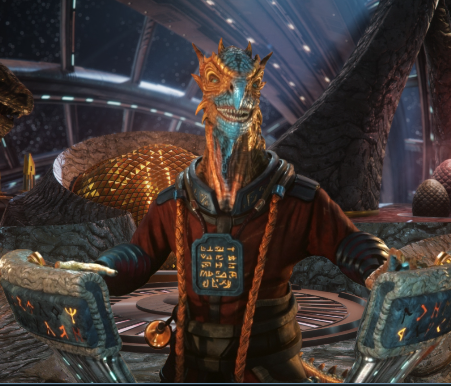 The Precursor Observatory provides +1 for ascension and the Arnorian Relic study gives a 25% bonus. 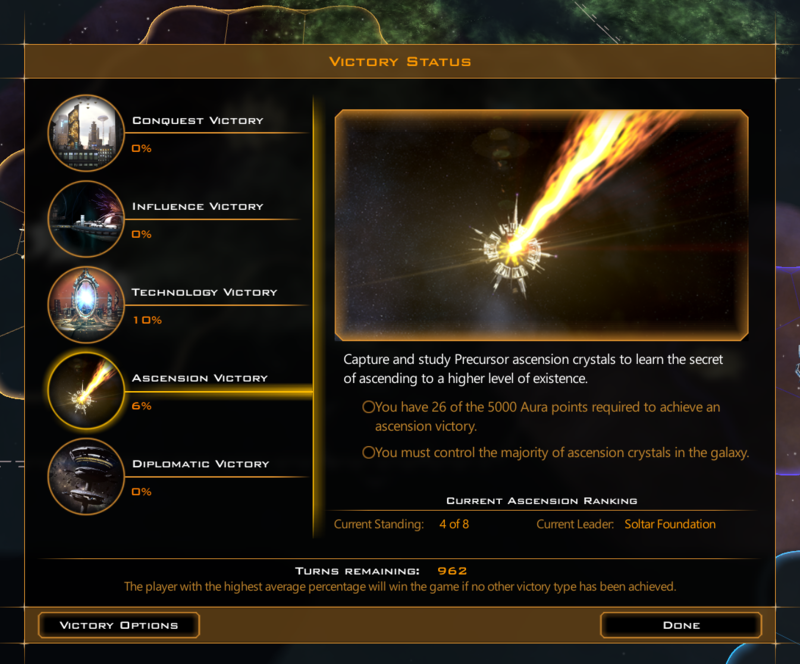 Any other civilization would only receive 2 total points per turn from this starbase that covers two Ascension relics. But the Drath are getting 5. Acquiring 5,000 points is not easy of course (would take 1,000 turns at this point! 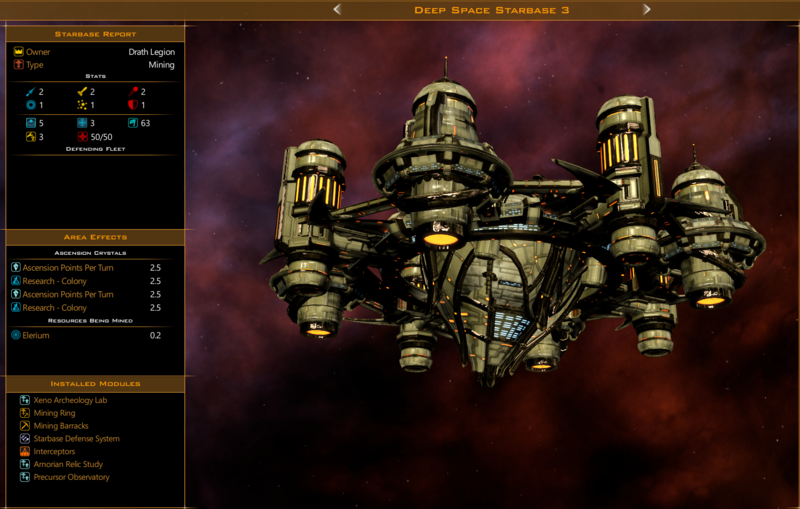 ), but if you were to capture a handful of additional Ascension relics and keep going down the Precursor tech tree, a dedicated player could find themselves ascending in less than 200 turns. 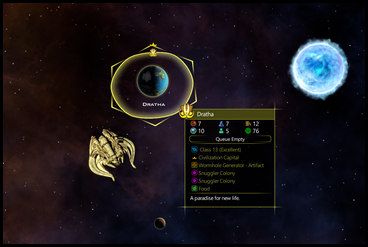 The Drath also get a large bonus for trading with civilizations that are at war. Now, the purpose of this is less about making money and more to encourage a strategy of keeping your enemies busy while you collect ascension points. Interesting playstyle - diplomatic manipulators. Looking forward to it! Unless something has changed in Retribution, the tool tip is wrong. 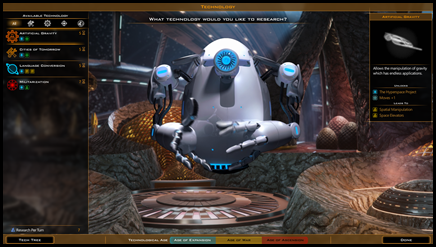 Ascension gates are built on planets as part of a Research Victory. 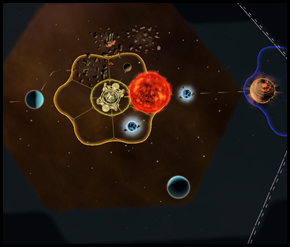 Starbases study Ascension crystals, which are in space and used for an Ascension Victory. See your next-to-last screen shot showing the starbase generating Ascension points from Ascension Crystals. I'm looking forward to this expansion and trying to patiently wait for another 2 hours. This was largely how they played in GC2 as well, minus the artifact thing b/c those didn't exist yet. -With War Profiteering, you could basically ignore purchase cost, even for expensive as hell ships like Dreadnaughts loaded to the brim with weapons and defenses. -They were arguably the BEST at conquest. The ability to get others to go to war with you served as a great distraction when you started attacking, War Profiteering made it easy to just buy any planets the AI would take, and when they COULD build troop transports, they were stronger than anyone at actually invading. What happend to Journal #9 (Coming Soon) ? ?